Ledger Notes: 87 Yrs. Funeral: Young's Funeral Home Ashes buried in Lela Yates grave, S half of 73, plot 11. Notes: Ledger says he is in Lela Yates grave in 73, but ledger records Lela in 98, likely an entry error. Son of Willa V. & Laura (Wright) Yates. Husband of Lela (Fletcher) Yates. Last Name: YATES First: Laura Middle: M.
Other Notes: Wife of Willa Viley Yates; Mother of Mary Clare Yates Smock and John Edward Yates. Other Notes: Monument is missing but burial is recorded in the ledgers. Last Name: YATES First: Willa Middle: Viley, M. D.
Father of Mary Clare Yates Smock and John Edward Yates. Other Notes: From Switzerland. Ran a small dairy and hay farm on upper Bell Road. Two children, a boy (Donald, known as "Donny"and a girl, Nancy, I think. Not sure. If someone knows, please correct). I remember that Mrs. Yaun insisted on buying alfalfa hay for her cows. Contributed by neighbor, Stephen Baker, 310-490-8510, sgb90210 at aol.com. Ledger Notes: Not recorded in the ledger. Notes: Fred is not recorded anywhere in the ledgers, nor is his infant brother mentioned on this stone. Notes: This infant is not recorded in the ledgers, nor is his brother, Fred who is on this same stone with their father. Last Name: YEAGER First: William Middle: C.
Last Name: YEAGER First: William Middle: L.
Last Name: YETMAN First: John Middle: J. Ledger Notes: Nativity: Oregon Infant of S.B. Notes: Ledger lists this infant as Norris W. Young and says she is an infant of S.B. This is in error; Norris W. Young is the father, Fannie Gale Young is the mother. The name is Dale Young. 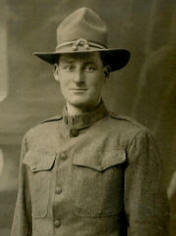 Other Notes: World War I Veteran, engineer, served in France. Son of Marion and Lily Young, grandson of John Wallace and M. Clementine Graham, grandson of William and Isabel Young, great grandson of George and Anna Bailey, great grandson of John and Sarah Zumwalt, great-great grandson of Sobrina J. Russell. Started the Wilsonville Electric Company, the Wilsonville Water Company, developed Wilsonville Shopping Center, which later became Lowrie's Shopping Center. Recruited the State of Oregon to locate Dammasch Hospital in Wilsonville. Other Notes: Taught at Wilsonville Grade School for many years, mostly the fifth grade. Also taught Spanish and art. From her obituary: Mrs. Young died March 18, 1996 in a Gladstone care center. Mrs. Young was born in Albany, OR. She graduated from what is now Western Oregon State College at 18 and taught in Estacada. 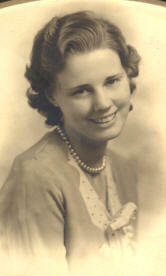 She graduated from Oregon State College in 1941 and received a master's degree from the University of Oregon in 1959. She taught in Wilsonville from 1957 to 1978, when she retired. She married Hardy S. in 1942; he died in 1974. Other Notes: Sister of Mattie Dale Young in 265-5. Mother of Dale, Gale, and Stewart Young in 90-5, 6. Notes: Ledger lists this infant as Norris W. Young and says she is an infant of S.B. This is in error; Norris W. Young is the father, Fannie Gale Young is the mother. The name is Gale Young. 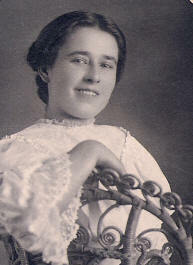 Wife of John Wallace Young, whose ashes are also in 90-7.